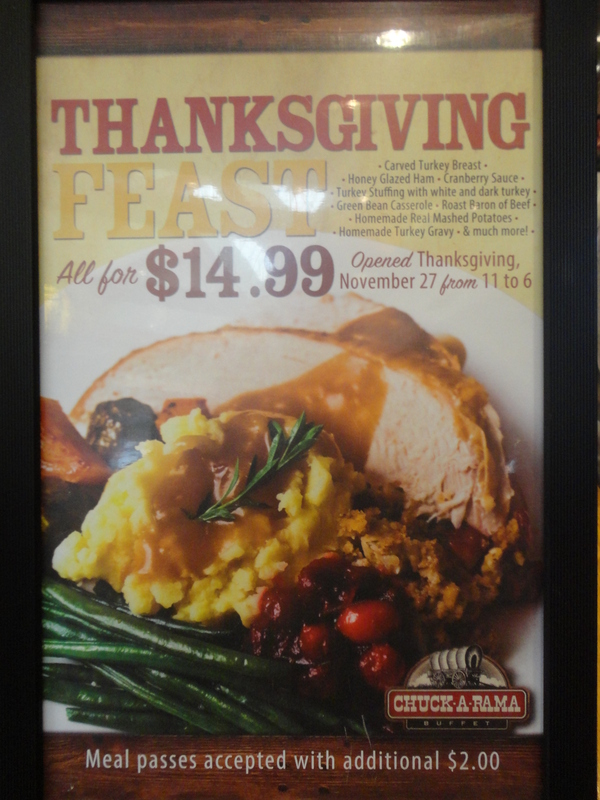 My mother wanted to eat out on Thanksgiving Day in Idaho Falls. 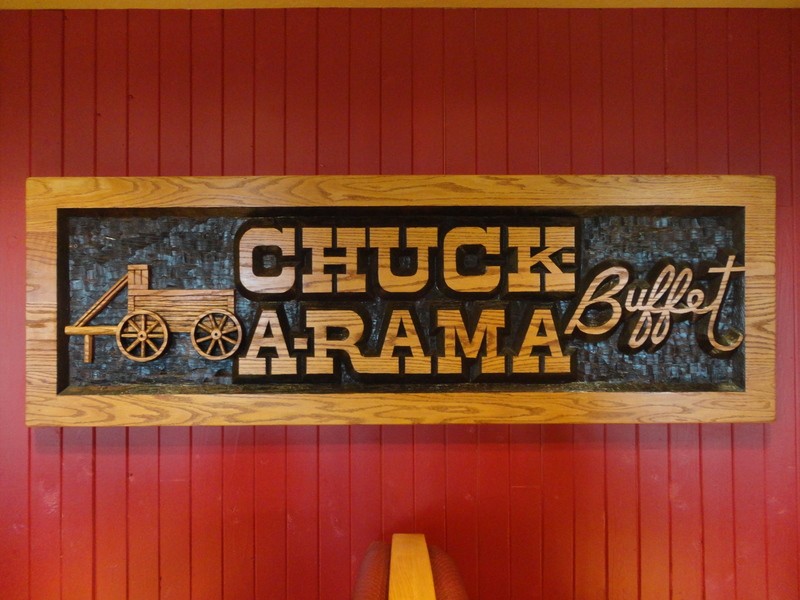 So among all the places in Idaho Falls where one could eat on this very special, family day, Chuck-a-rama took top honors in my mother’s mind. That is no small compliment because my mother is picky. Very picky. And perhaps a lot of mothers in Idaho Falls felt the same way. The line of people stretched way outside the door, and it was past 1pm when we arrived. But it was worth it. Look at what slabs of meat greeted us on the inside. I don’t think any restaurant in town offers a better thanksgiving feast. To all the staff who worked on Thanksgiving Day, I thank you for your service. This ol’ scout leader felt right at home among all the good grub. 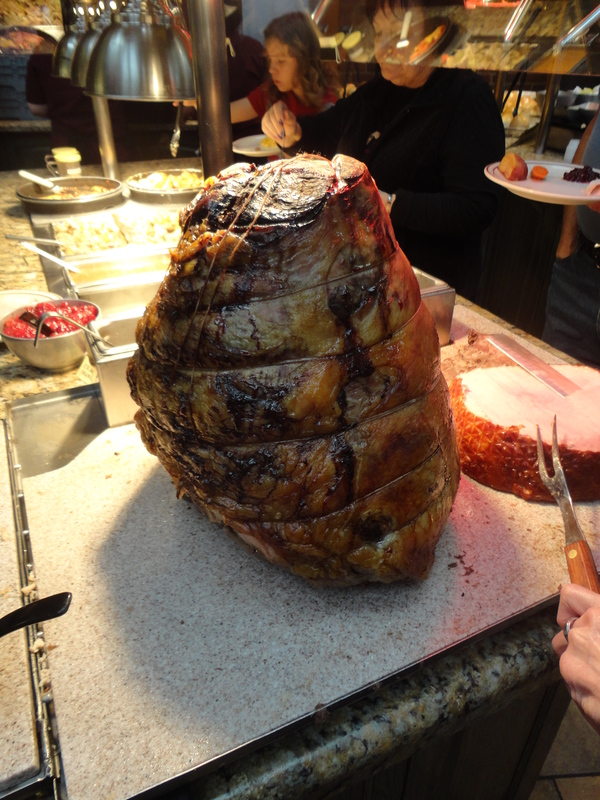 This entry was posted in restaurant reviews and tagged feast, food, Thanksgiving, turkey. Bookmark the permalink.